Captain Jason has totally refitted the barge for 2018. The cabin layout and comfort available will astound you. 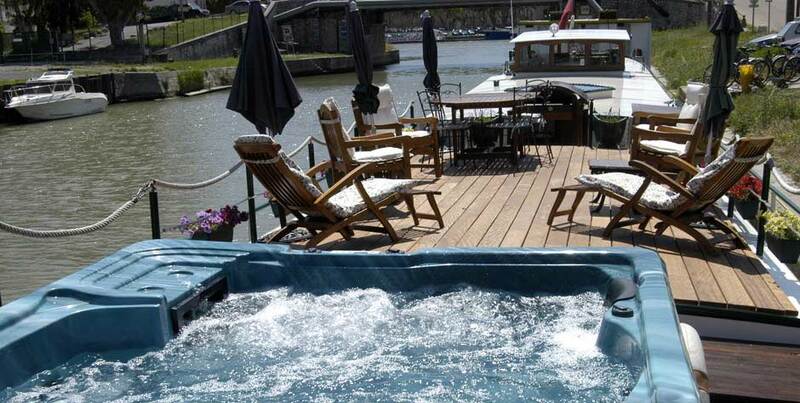 The barge is perfect for charters of 4 to 6 people. 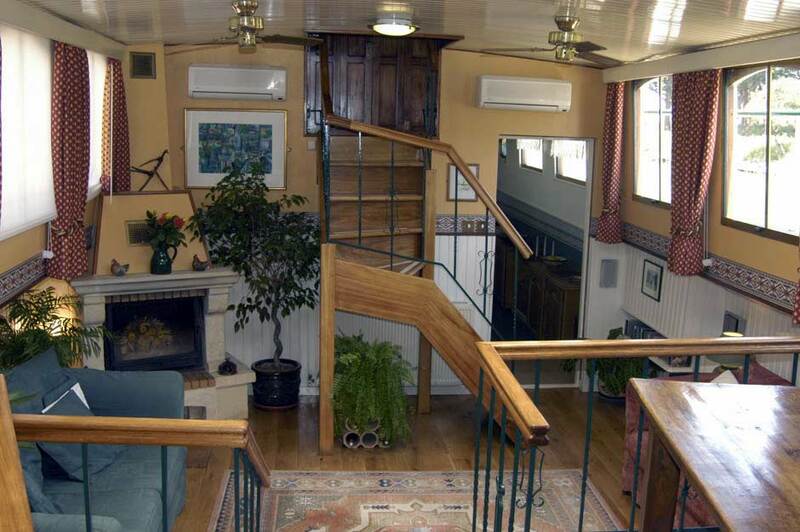 The comfort and space of this very elegant barge give the largest cabins available. The design is to the highest standards with respect given to the original lines of this wonderful Luxemotor barge. The choice of menus and a very special collection of wines in the private wine cellar make the gourmet cuisine stand apart and above most other cruise trips available, you’ll be taken care of by Jody, one of the finest chefs. The Saroche sets a very high standard in comfort, price and value. The selected, wines, cuisine and choice of cruising in Burgundy or the Provence makes this a first class choice. Guests are greeted at the pre-designated meeting point and escorted to Saroche in Dijon. After settling in you are invited to join the Captain for a champagne Reception and cruise safety briefing. Plenty of time for a stroll around Dijon or merely relax on board and enjoy the view. This morning is set aside for a tour of Dijon which has many places of interest such as the Palace of the Dukes of Burgundy housing the Fine Arts Museum with its paintings from the 14th century to the present day. Climb the 316 steps of Philip the Good’s Tower to get a wonderful view of the region. Our first day’ cruising leaves behind the bustling centre of Dijon as we journey upwards to our evening halt in the village of Fleurey sur Ouche nestling in the Ouche valley. Climb to the top of the church of Notre Dame to view the marvelous panoramic view over the surrounding countryside. This morning we continue upwards in the tranquility of the countryside and the lush scenery of the Ouche valley through Pont de Pany and St Marie sur Ouche to this evening’s halt at Gissey sur Ouche. Plenty of opportunities to stroll or cycle alongside the vessel as it slowly meanders along between locks to work up an appetite for this evening’s meal ashore at a typical country restaurant. Excursion: Tour the Cote de Nuits vineyards known as the Champs Elysees of Burgundy – visit the Chateau of Clos de Vougeot, established by the Cistercian monks and famous for its wines. The Chevaliers du Tastevin meet here to sample the wines and confer their medals on selected vintages. Today’s cruise takes us through sloping tree laden reaches and the picturesque village of St Victor to La Bussièe where you can visit the buildings and the grounds of the medieval abbey. Excursion: Visit the abbey of Fontenay which was founded in 1118 by St Bernard and built in the Romanesque style by the Cistercian monks in the 12th C to the 15th C. In 1906 it was turned into a paper mill by the Montgolfier brothers but was reinstated by their descendants in 1820. Cruising along the tree lined valley we pass through the canalside villages of La Forge and Veuvey sur Ouche en route to Pont d’Ouche where Charollais cattle graze peacefully in the pastures alongside the canal. Excursion: Beaune, Burgundy’s wine capital – tour the Hotel Dieu with its honeycombed, coloured tiled roof – built in 1443 as a Hospice for the sick and needy it is now famous for its collection of pottery jars and its annual wine auctions. Visit the cellars of Patriarche Pere et Fils, the largest cellars in Burgundy, for a tasting of some of its fine wines. Our final morning’s cruise takes us ever upwards towards the summit level as the canal winds round past the hillside villages of Bouhey and Chateauneuf. The cruise culminates with the Captain’s Farewell Dinner ashore at a Burgundian restaurant. Excursion: Visit the magnificent Chateau of Commarin with its forbidding stone walls and towers, and the romantic 12th century village of Chateauneuf, former seat of the Duke of Burgundy, prominent upon its hilltop overlooking the Canal. After breakfast enjoy a farewell glass of champagne before your departure from Saroche. You can enjoy meals and cocktails on the sun deck which gives you the perfect panoramic views. 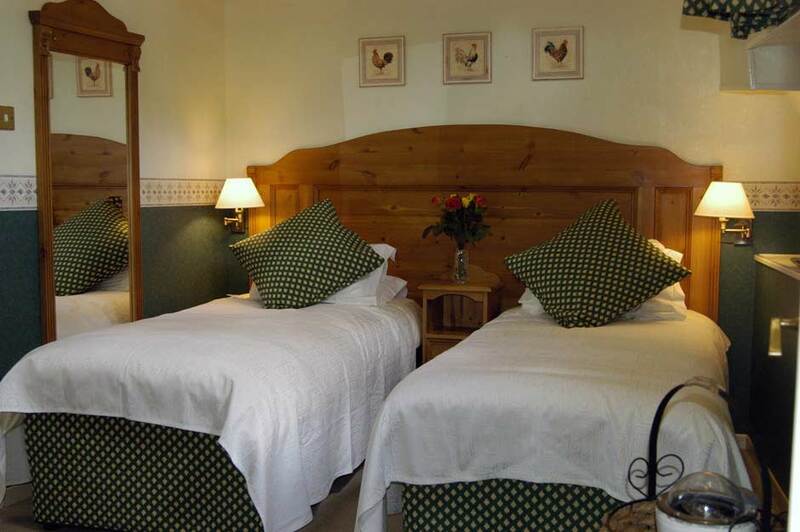 There are three comfortable and spacious cabins all with ensuite bathrooms.